Jeans, tracksuits, high-heeled shoes/boots, Crocs, flip-flops, football shirts, shirts with large slogans/logos etc. are not acceptable schoolwear. Plain white t-shirt or school polo shirt, plain black shorts, trainers, plimsolls or daps. A black tracksuit is also useful for outdoor activities during the winter. On Health and Safety grounds, we do not allow children to wear jewellery to school. The exceptions to this are stud pierced earrings. We ask the children to remove these during PE lessons or, if they cannot be removed, to cover them with a plaster brought in from home. This is to prevent them from causing injury. 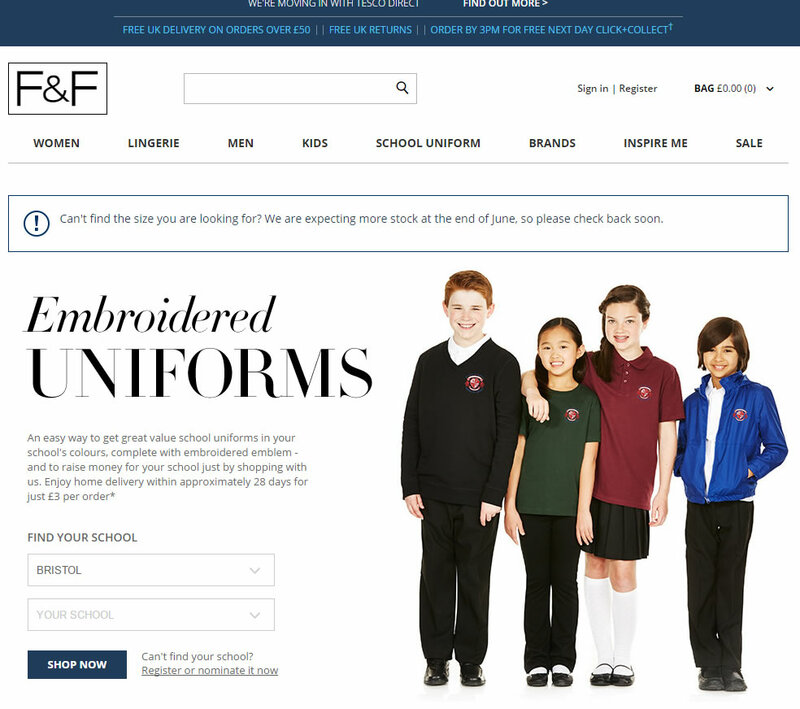 Click on the link below to order new school uniform through Tesco.